The fluke, it simply gets the job done. From Florida all the way to the northern smallmouth impoundments a fluke will catch you fish day in and day out. It’s versatility makes it one of the greatest lures ever invented. 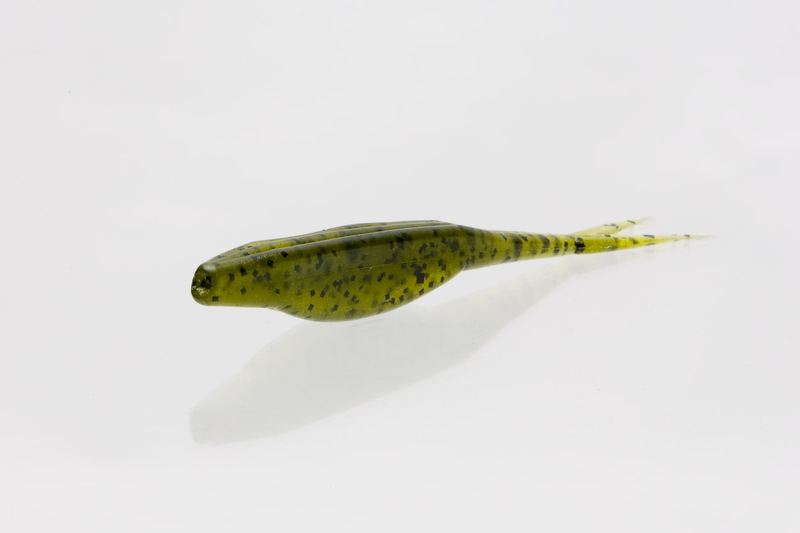 From using it as a fast action top water bait for schoolies or working it slowly when the bite gets tough the fluke covers it all. Here in Florida our Lake Toho fishing guides always have one rigged up. Through the years our guides have refined fluke fishing down to an art. Here are some of the tricks that we’ve learned. When searching for fish nothing beats a Texas rigged watermelon or white fluke quickly jerked below the surface. Jerking it as fast as you can without making it break the surface seems to always get more bites. Putting a small rattle behind the head of the fluke will weigh it down and keep it from jumping as much. I have found countless groups of fish around grass and on flats doing this and I’ve probably caught more fish using this technique on Toho than I have any other. A Texas rigged white fluke may just be one of the best lures for schooling fish. Quickly bouncing it across the surface can make fish go mad! Boating more than 30 fish a day is not uncommon when you have found a good group of schooling fish with a fluke. When working it as a topwater it is important to keep it as light as possible which means no rattle for this technique. Let’s face it flukes catch a lot of fish but they also catch a lot of little fish. When I want to pull the bigger one’s out of an area switching to a big magnum fluke is the way to go. The old saying “bigger baits catch bigger fish” is true and all of the biggest fish that I’ve caught off of a fluke have come off of the magnum version. I like to work it the same way I was with the smaller fluke and I’ll always throw a rattle on it. Contrary to what you would think the bigger magnum fluke still catches plenty of smaller fish (I’ve caught fish that were only a couple inches longer than it) but it also gives you a greater chance at catching bigger one’s which is why I typically use the magnums over the original size. Flukes will catch the heck out of bass when there biting and with a few adjustments you can still catch them when they quit biting. Flipping or casting a fluke to cover and letting it slowly glide down can be deadly and a lot of big bass have been caught doing this. 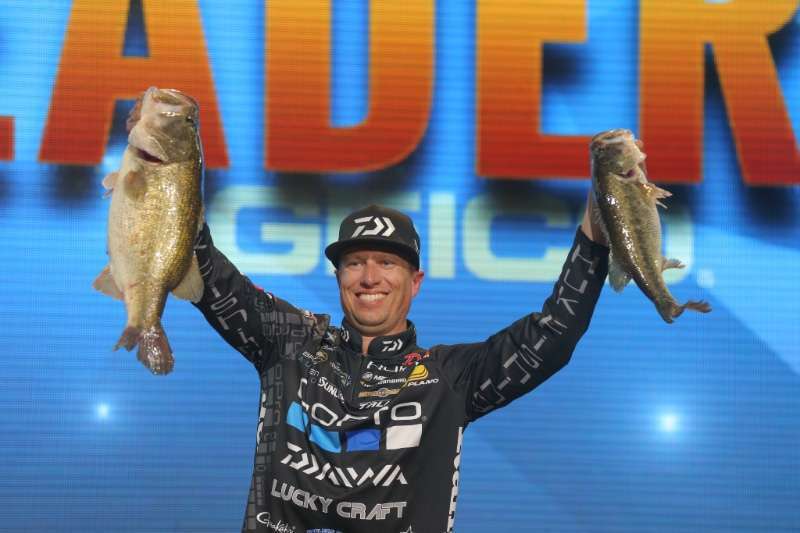 Brett Ehler nearly won the Bassmaster Classic on Lake Conroe doing this very thing. He was pitching a weightless fluke into brush letting it sink and slowly jerking it out and he was hammering them everyday. This is one of my favorite techniques and a lot of tournaments have been won doing this. A fluke is probably the most versatile lure out there and if I could have only one lure, it would be a fluke. Fluke fishing is one of our Lake Toho fishing guides go to techniques, and hopefully you learned a few new techniques that will catch you a few more. ⟵Lake Toho’s Fishing is Heating Up!